Pour olive oil into fireproof pan, add mince, chopped onion and garlic. Fry a little. Add sliced salad pepper, chili and peeled tomatoes. Add all spices and salt. Stir, add broth, tomato paste, stew until ready on a gentle fire. Add beans. Stir. Stew 7-10 minutes. serve with grated cheese and chopped cilantro. 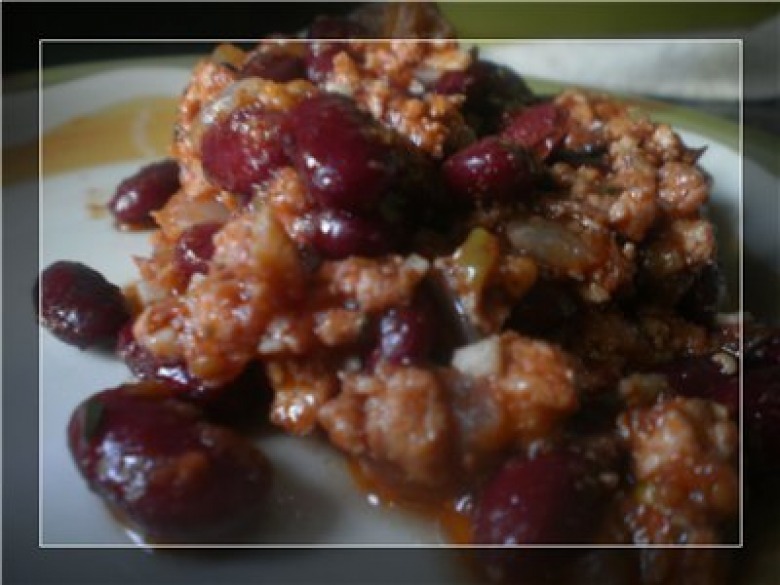 Decorate with marinated chili. 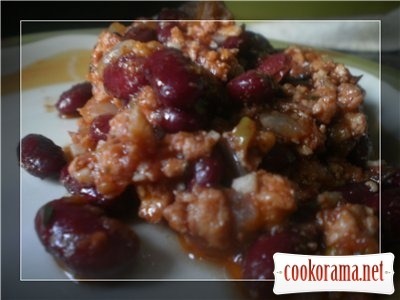 Top of recipe "Chili con carne"